conviction by a judgement of a court. What is the deadline to appeal an administrative decision? In this situation, you may disagree with the decision of the office and you have the right to appeal against it. Every Applicant residing in the country has the right to appeal any administrative decision and submit a notice of appeal to a higher authority. 14 days are required to submit an appeal against a negative decision for a foreigner in Poland. It is important to remember about the specified period, because after it expires the applicant cannot take part in the administrative proceedings. Sufficient reason for submitting the appeal application in each case is to persuade the authority to issue an incorrect decision by the first instance authority of the Voivodship Administrative Court. However, the application must be considered first by the Voivode who may issue a new decision. Receiving a positive decision from the Voivode involves dealing with many formalities. 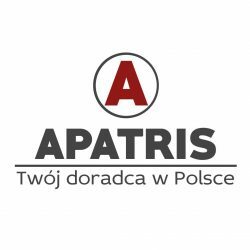 In such a situation, if you want to successfully complete the case, it is worth using the APATRIS services. Specialists of our company are perfectly aware of the mistakes made by the Applicants and prepare professional applications for appeal against the negative decision.